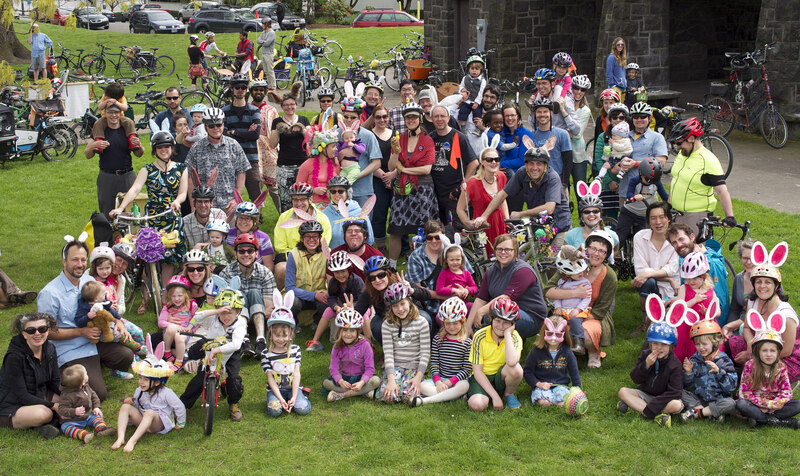 Kidical Mass PDX – Page 3 – Awesome bike rides to cool Portland stuff! Plus kids! Our first ride of the summer! Join us for bike decorating at Peninsula Park Saturday, June 18th, at 12pm. Afterwards, we’ll ride down the beautiful Bryant and Holman Street greenways to a nearby ice cream parlor, and finish up at Woodlawn Park. Bring money for ice cream! As always, helmets are required for those under 18. This short route is not a loop. We’ll ride rain or shine! Kidical Mass’s annual Easter Ride will start at Overlook Park at 2pm, March 27th. We’ll ride a few miles through the neighborhood to Arbor Lodge park where we’ll have an easter egg hunt and enjoy the fun at Harper’s Playground. Rain or shine! Helmets required for those under 18, and recommended for all.